Two-thousand twelve. Twenty-twelve. Two zero one two. Too much math, frankly. Rumor has it this is going to be an awesome year. A shoulders-back, two-feet-in-the-water, go-out-and-grab-it year. Two-thousand twelve. You in? Maybe we should start with some soup. 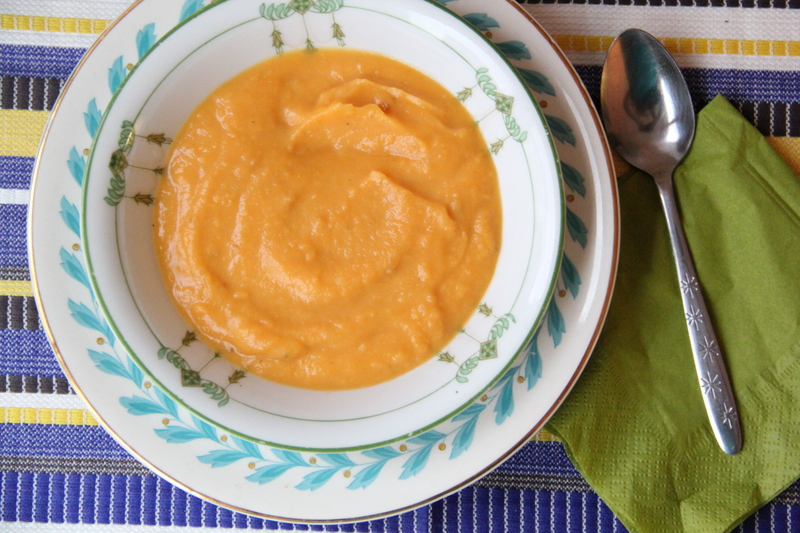 This is Jane Bursky’s carrot potato soup. As soups go, this one is particularly friendly; it’s simple, healthy, and a vibrant shade of orange. It’s also just plain good. Like, make-three-batches-in-two-weeks-and-still-be-psyched-to-eat-it-for-dinner-on-night-thirteen-good. Carrot potato soup! Twenty-twelve, bring it on. I made this soup (again) on New Year’s Eve, and I got a little fancy with it. I added some curry powder (about 2 tablespoons) and fresh ginger (1 grated tablespoon) to the veggies, and swapped light coconut milk for the regular. I also added a dash of lime juice at the end. If you’re feeling a little fancy, have at it, though the “regular” version is perfect the way it’s written. In a large soup pot or dutch oven, melt the butter. Add the onion and sweat over medium heat, until softened, but not browned. Add the potatoes, carrots, and chicken stock to cover. Bring to a boil, and then reduce heat and simmer the soup, covered, until the vegetables have softened, about 20 minutes. Using an immersion blender (or a food processor, working in batches), process the soup until smooth. Stir in the milk, and season to taste with salt and pepper. Enjoy hot, or divide into containers and freeze for later use. Yields 8-12 cups soup (serves 4-6). SOOOO will make this. Love it Jane and Molly! this is my FAVE!!!! yum. 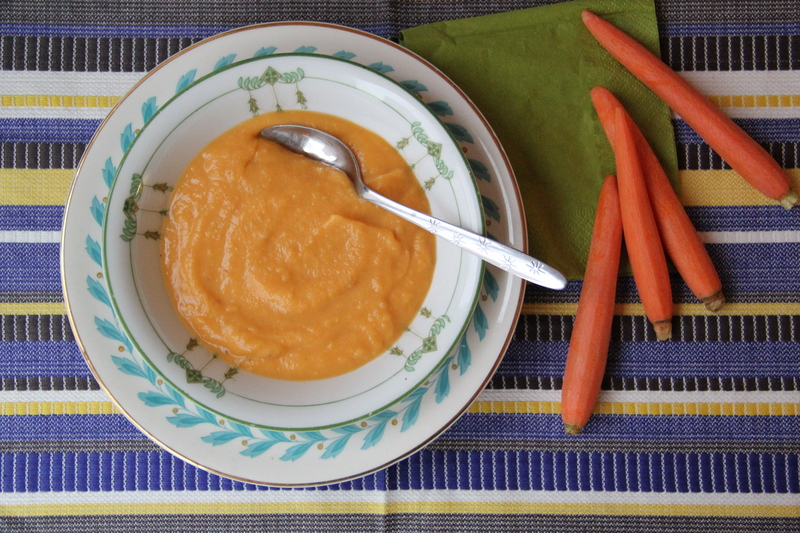 Jane’s delicious carrot soup with Dunk and Crumble modifications is simmering on my stove AS WE SPEAK! Cannot wait! This was absolutely delicious!!! Thanks Mols! We served this to the staff for lunch today. Wow! What a treat! Thank you! Made this today with my CSA carrots that were languishing in the back of the fridge…yumtastic! My tired carrots and I thank you kindly. YAY! you are very welcome, m’dear. This really is exceptional! I am a vegetarian and substituted vegetable broth for chicken broth and it is one of my new fa vorite soups.